Sometimes a spouse files for divorce when you are stationed outside Virginia, making the process complicated. However, by working with an experienced family law attorney like The Firm For Men, you can have someone fighting for your rights throughout the legal course. This becomes even more important with military contested divorce. A spouse filing for divorce while you are away on military assignment can be heartbreaking and at times, these eventualities come when they are least expected. If there isn’t someone working to aggressively defend your rights, they may end up being infringed upon and property or other valuables put at risk. If you are going through a situation like this, know that The Firm for Men is always at your service. As former military servicemembers and longtime advocates for men’s and father’s rights, we passionately and relentlessly defend and advocate for the rights of military servicemen who are undergoing such challenging phases in their family lives. The Servicemembers Civil Relief Act is a law that is meant to protect members of the service who are stationed away from their normal places of residence. It postpones the legal procedures so you can plan how to best defend your rights. While in the service, a divorce or separation may be marred with controversy based on how your seniors deal with your situation. With a contested divorce in the military, you may encounter undue pressure for you to concede more against your conscience in order to have faster settlements. But before letting it go that far, we recommend that you have a word with our military divorce attorneys to help you understand your rights and lay down a strategy to fully defend them. 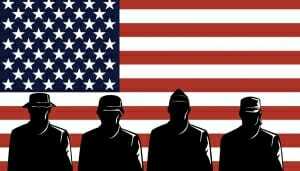 We are the military divorce firm that serves male military members to help protect their rights. A divorce or separation filing might have come to you as a surprise. One moment you hear about the divorce filing and the next moment there is too much pressure for you to gain ground with regards to alimony, child support, custody, and so on. To avoid these prospects, you need to consult with The Firm for Men to draft agreements that will help protect you now and in the future. Now is the time for you to secure a divorce attorney to be on your side always. It makes things easier and protects you from unnecessary pressures since everything will be handled from the perspective of the law, and your rights will be defended by an attorney who is exclusively dedicated to serving men. If you’re in the midst of a contested military divorce, we’re just a call away. Get in touch with our trained military attorneys for more information by calling 757-383-9184 or request a consultation online.